The Dosey Doe Breakfast & BBQ lovingly referred to as the DDBBQ is now open! 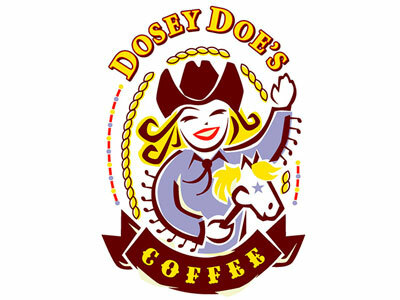 Located at 2626 Research Forest Blvd right next to the Dry Clean Super Center and featuring your Dosey Doe favorites from Huevos Rancheros and Biscuits & Gravy offerings to the Ginormous Chicken Fried Steak, Gumbo and, of course, our own Roasted Coffees. Sixteen hour hickory and red oak smoked brisket, smoked and jalapeno sausages, pulled pork and smoked chicken, as well a great assortment of handhelds such as the Fried Catfish Sammy and Fried Green Tomato BLT. Our own BBQ Sauce, Honey, Specialty Pickles added to Betty’s State Fair of Texas Blue Ribbon Marmalades and, of course, our own award winning Coffees are on the shelf. We know that lunchtime can be tight so we make sure it’s FAST, FRESH & FABULOUS at the DDBBQ!